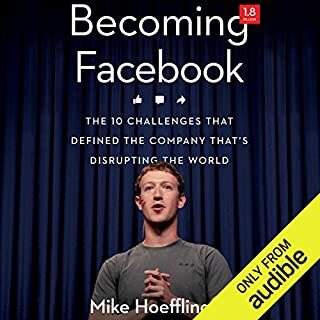 Facebook's founding is legend: In a Harvard dorm, wunderkind Mark Zuckerberg invented a new way to connect with friends...and the rest is history. But for the people who actually molded this great idea into a game-changing $300 billion company, the experience was far more tumultuous and uncertain than we might expect. Mike Hoefflinger was one of those Facebook insiders. A shocking exposé of Volkswagen's fraud by the New York Times reporter who covered the scandal. In mid-2015 Volkswagen proudly reached its goal of surpassing Toyota as the world's largest automaker. A few months later, the EPA disclosed that Volkswagen had installed software in 11 million cars that deceived emissions-testing mechanisms. By early 2017 VW had settled with American regulators and car owners for $20 billion, with additional lawsuits still looming. 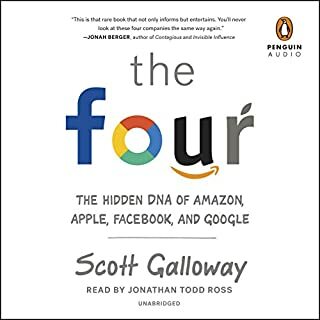 Fortune writer and best-selling author of Inside Apple's exposé of Uber, the multibillion-dollar Silicon Valley upstart that has disrupted the transportation industry around the world. Uber is one of the most fascinating and controversial businesses in the world, both beloved for its elegant ride-hailing concept and heady growth and condemned for CEO Travis Kalanick's ruthless pursuit of success at all cost. Despite the company's significance to the on-demand economy and the mobile revolution and the battle for global dominance that Kalanick is waging against politicians and taxi companies all over the world, the full story behind Uber has never been told. 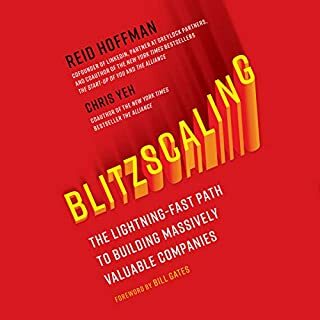 It's a story that start-up founders, executives of traditional businesses, tech-savvy listeners, and drivers and riders alike will find riveting. 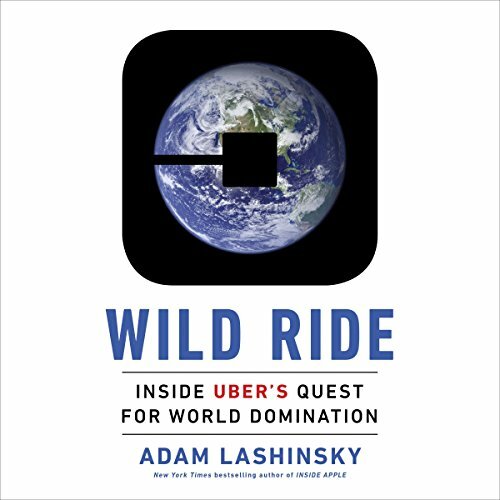 Adam Lashinsky, veteran Fortune writer and author of Inside Apple, traces the story of Uber's rapid growth from its murky origins to its plans for expansion into radically different industries. The company is fighting local competitors and lawmakers for markets around the world; it has already faced riots and protests in cities like Paris, Rio de Janeiro, and Mumbai. It fought, and lost, an expensive and grueling battle against rival Didi in China. Uber has also poached entire departments from top research universities in a push to build the first self-driving car and possibly replace the very drivers it's worked so hard to recruit. Uber is in the headlines every day, but so much about its past and its future plans are still unknown to the public. 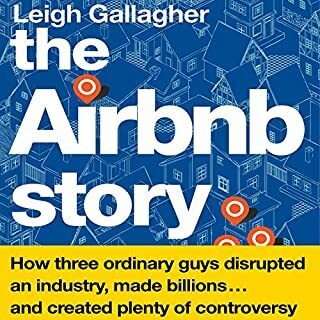 Lashinsky will offer a look inside Uber's vault in this informative, deeply researched book about the ur-disruptor and its visionary and fierce CEO. The book was okay. But it came out right before the CEO was fired so we missed that whole story. And the performance was by the author which was a little shaky. This might read better as print than audio. I got super bored and lost in the narrative -- and not in a good way. Boring, slow, overly detailed in areas that don't matter. Did not care for the construction of the book either. I tried to go back to it 3 times, but just could not get past the 5 hour mark, and that was punishing. 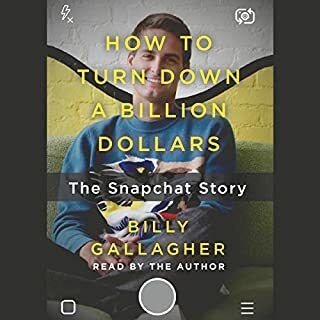 This story illustrates that you can start and grow a billion dollar corporation and still have very little empathy for your employees or your clients. ... although the author seems to be more interested in what social media says about the company than what the company is as a business. Just because of bunch of people whine on Twitter and Snapchat doesn't mean their points are legitimate or that the majority agree. Personally I love Uber as a concept, I use it more and more every month (sometimes between offices so I can make multiple safe phone calls), and more than anything I think it is amazing and wonderful and that the service has helped reduce drunk driving so much. This is a great book. 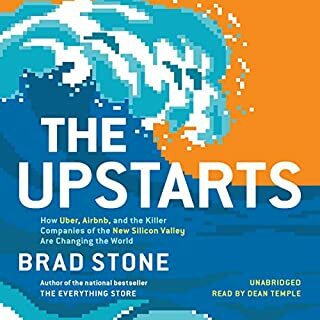 You get the Uber history and also really good insight into how Uber and Travis Kalanick think and operate. It's also just fun to read. Top level reporting without depth. Chronological approach without tension. just seemed to rehash many of the news themes that have become the Uber story. Never felt engaged in the story and just felt driven to the conclusion. Wished we could learn more about some of the other key players.